Terms run from September to December; January to April; April to July. Today most people define greatness in terms of power, possessions, prestige and position. Servanthood is not a popular concept. Is it any wonder recognition is given by way of an OBE and MBE to those who have given longstanding, selfless contributions to our society? But what do we say or give to a building which has served its community for several years in many capacities. Mill End Community Centre is just such a building. Build around 1915 it has served the community for more than 85 years as, among other things an Infant and Junior School. Today, this handsome, redbrick building stands proudly at the corner of Berry and Church Lane, Mill End. Many years after attending school at the centre, residents of Mill End and the surrounding areas still hold fond memories of school days there. The Centre continues to serve the community till this day. 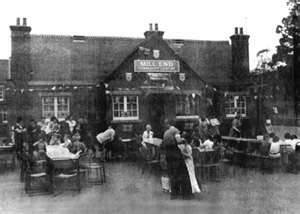 Were you a student at Mill End Infant or Junior School at the Community Centre? Were you involved in some capacity with the centre in the past? Then kindly drop us a line or picture with your story at 01923 493 344. Alternatively, pop in to see us between 9am to 12pm, Monday to Thursdays.